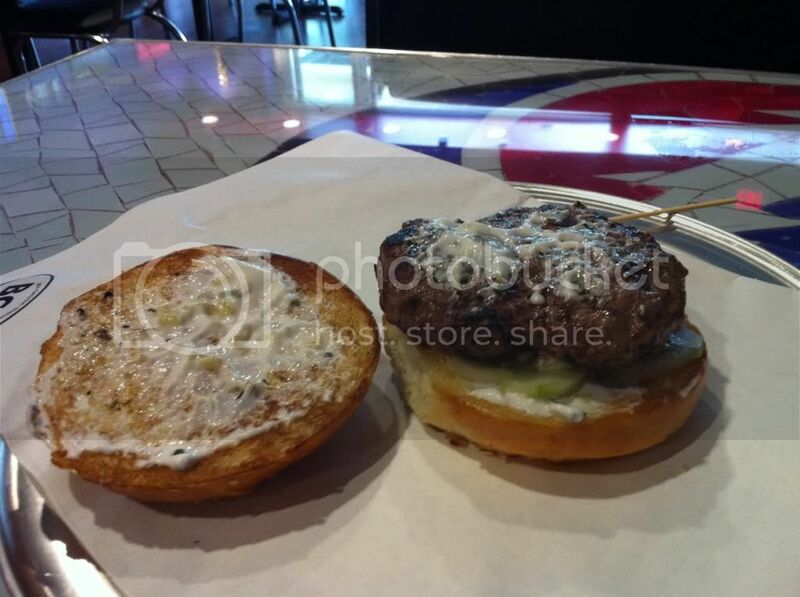 BGR The Burger Joint is the newest burger restaurant to join the rapidly growing burger scene in Miami Dade. Opening up on June 4, 2011 to eager foodies, I was able to finally make my way over to the restaurant this weekend. It's nestled conveniently on Miracle Mile, which always gets great foot traffic at any time of day. 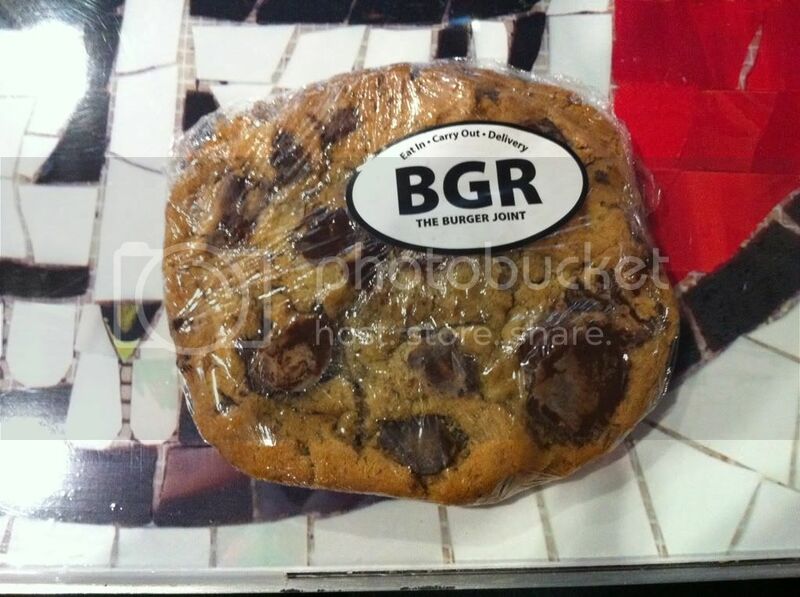 I had actually heard of BGR on my recent trip to Washington DC, so I was actually pleasantly surprised to see they have stretched out their growing franchise into south Florida. This growing franchise has also garnered some attention from media heavy weights, being featured on Food Network's Throwdown with Bobby Flay and their 9lb behemoth burger has been seen on Travel Channel's Man vs. Food. The chain has also gotten rave reviews from magazines such as GQ, ABCNEWS and BurgerBling. So there is definitely a lot of hype going into this restaurant and anxiety if it'll live up to all the hubbub. I was skeptical but enthusiastic to try it. In all honestly, I'm not a big connoisseur of lamb and have only had it a handful of times (typically while eating a gyro). Which brings me to the Greek Burger, think gyro in a bun. It is ground lamb beautifully seasoned with cumin, mint and garlic. Topped with tzatziki sauce, a mountain of feta cheese, very thinly sliced fresh cucumbers, lettuce, tomatoes and red onions. I asked for my burger medium done and no lettuce, tomatoes and red onions. 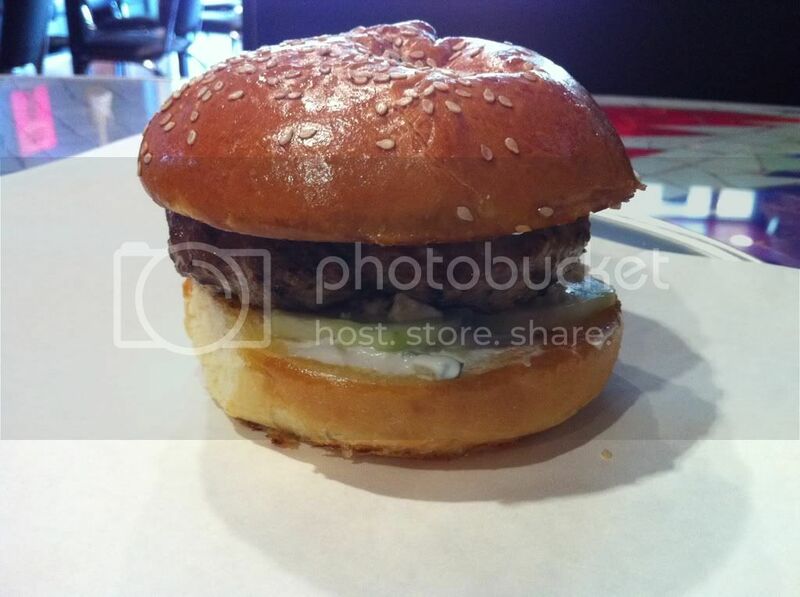 The bun was a freshly baked, soft brioche topped sesame seeds. The seasoning on the burger was amazing and the meat was tender and insanely flavorful. The tzatziki sauce was also fresh and and very creamy and played perfectly with the feta cheese and super fine cucumbers. The staff was also very attentive and friendly. They took the time to explain that their lamb is actually ground and seasoned right at the restaurant every morning and the buns are baked fresh everyday. I opted to not get any fries because while I was paying for my burger at the register, there was a basket of monstrous sized chocolate chip cookies and brownies that were screaming my name. So instead of french fries, I went with a chocolate chip cookie. The cookie had enormous chunks of chocolate in every bite, which is just how I like them. It wasn't by any means the best cookie I've ever had, but a very good one none the less. I definitely plan on going back to this restaurant to try a few menu items I missed on my first trip, such as their wellington burger and their variety of different fries. Their fries include yukon gold potatoes, sweet potato fries, onion rings and the most intriguing, asparagus fries. All of which can be topped with parmesan cheese, rosemary and roasted garlic for an additional price. It's been over 24 hours and I'm still thinking about how good my greek burger was, that's a very good sign!